We put the iRobot Roomba i7+ robot vacuum with automatic dirt disposal through a ton of tests. And I’ll get to those in a bit. But first, we really want to get to all the new features with the i7 and the i7+. So we’ve tested and reviewed the previous top-of-the-line Roomba, the Roomba 980, and the i7 and i7+ are similar to the 980 with a few key upgrades. The best upgrade in our opinion is the automatic dirt disposal system which is a large charging dock which has a bag inside that pairs with the dustbin on the robot whenever it docks. When it docks, a suction motor kicks in and it empties the dustbin into the bag. iRobot says the bag can hold up to 30 full dustbins worth of debris. This new feature really does change everything. With other robot vacuums I’ve owned, it never really felt like I had a truly automated cleaning system because I would have to basically babysit the vacuum during its run and empty the bin several times. And the scheduling features are great, but if you come home and find the robot only cleaned a third of the house because its dustbin was full, then it really creates a bottleneck. So I’m really excited about this feature and I didn’t have a single problem with its operation during our tests. I should also mention that the automatic dirt disposal unit will work with the i7 as well as the i7+. But in the case of the i7, you will have to buy the dirt disposal dock or clean base separately, and it won’t work with any previous models since they don’t have the new kind of dustbin that pairs with the new dock. Another key upgrade with i7 and i7+ is the mapping and navigation system which iRobot now calls imprint. So I called iRobot for clarification on this and there are several changes from the previous version. The first is that the new navigation software allows for more detailed maps. For example, after the i7 has made a few cleaning runs, it then allows you to customize a map of your home where you can choose specific rooms for it to clean and specific rooms to avoid. You can also customize this on the scheduling feature. So if you want it to clean certain rooms on one day in different rooms on another day, you could. The other upgrade on the new mapping and sensor technology from the previous version is that it’s a lot better at actually remembering the layout and various obstacles in your home. So it dramatically reduces the bumping of furniture and other obstacles once it learns more about its surroundings. Another game-changing upgrade is the ability of the robot to make multiple maps to accommodate multi floor homes. We don’t know why this feature took so long for robot vacuum manufacturers to introduce but it is finally here. iRobot says it can remember up to ten different floor plans. The i7 and i7+ also have redesigned brush rolls. 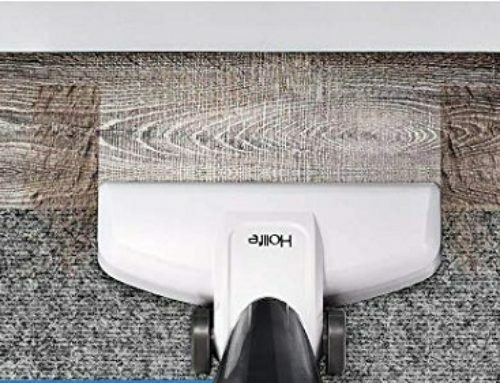 They have slightly longer treads and are mounted on a new self-adjusting plate which keeps them in contact with floors and carpets more, meaning it has better pickup ability than previous generations. We noticed this especially on carpet where our tests showed a marked improvement from the Roomba 980. The new i7 and i7+ also have one power setting now which is equivalent to the Roomba 980 on its high-power. So it has the same airflow numbers as the 980. It also has similar battery life numbers to the 980 on its high power setting. The official battery life numbers are 75 minutes per charge for the i7, and like previous versions, it also automatically recharges and resumes cleaning jobs. We should mention that though it has the same power specs in high-power, it’s actually a lot more quiet than the Roomba 980. We tested it at 68 decibels, compared to the Roomba 980 which tested at 78 decibels in its turbo mode. And really, it was noticeably more quiet. So with our pickup tests, we saw improved performance on carpet as it picked up all the debris from fine debris to pet hair to extra-large debris by the end of its run, and although robot vacuums aren’t exactly known for deep cleaning carpets, it did very well with our deep clean test scoring the same as the Roomba 980. 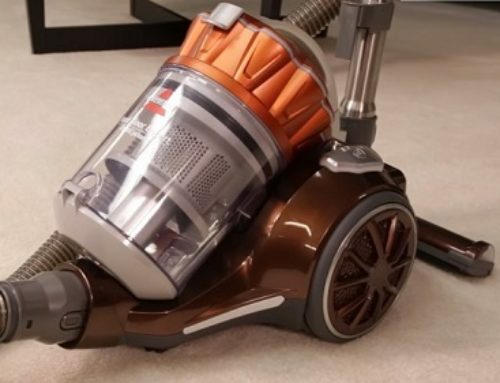 On hard floors, its performance was as good or better than the Roomba 980 on turbo power, again, picking up all the debris in the test by the end of its run. 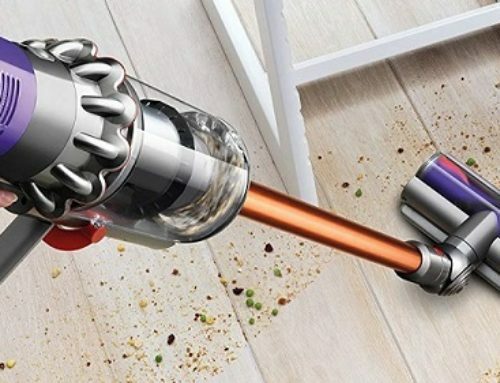 So with regard to cleaning ability, it has the top-of-the-line performance you would expect from a robot vacuum of this caliber. As far as navigation, it has the same straight line cleaning path and it makes very good obstacle avoidance decisions. The camera and its software work together very well in this regard and I’ve loved the more efficient cleaning of the smart navigation robots since they came out. I really did notice the robot remembering obstacles as well once it had completed a few jobs so kudos to iRobot for another very efficient smart navigation system. It can’t all be roses and sunshine though so let’s move on to the cons. The edge and corner cleaning wasn’t that great. Don’t get me wrong, it’s as good or better than the previous versions, but it’s likely to miss some spots when it comes to edges and corners. Also, the new dustbin had to be modified to be able to work with the clean base so it’s actually a bit smaller than the already pretty small dustbin of the Roomba 980. The i7’s dustbin is 0.46 liters compared to the Roomba 980’s 0.56 liters. Granted this will essentially be irrelevant if you get the i7+ with the automatic clean base, but it will be disappointing if you only got the i7 without the clean base. The Roomba i7+ has a nice low profile at 3.6 inches which is actually a pro since it can get under just about everything, but the low profile also causes it not to be able to climb steep 90-degree obstacles. It actually did climb our 3/4 inch board and our test, but only if it hit it at the right angle. 3/4 inches is pretty high though and the i7 can climb just about anything you’re likely to have in your home, but if you have a particularly high door threshold, you may need to make a little ramp. The last con is the price. Here again there’s a caveat. The i7 by itself is actually cheaper than the Roomba 980 when it was released. But the i7+ with the clean base is pretty expensive. But again, it’s a game-changing technology, which in my opinion, actually makes for a truly automated cleaning experience so I think it’s really worth it if you can swing it.